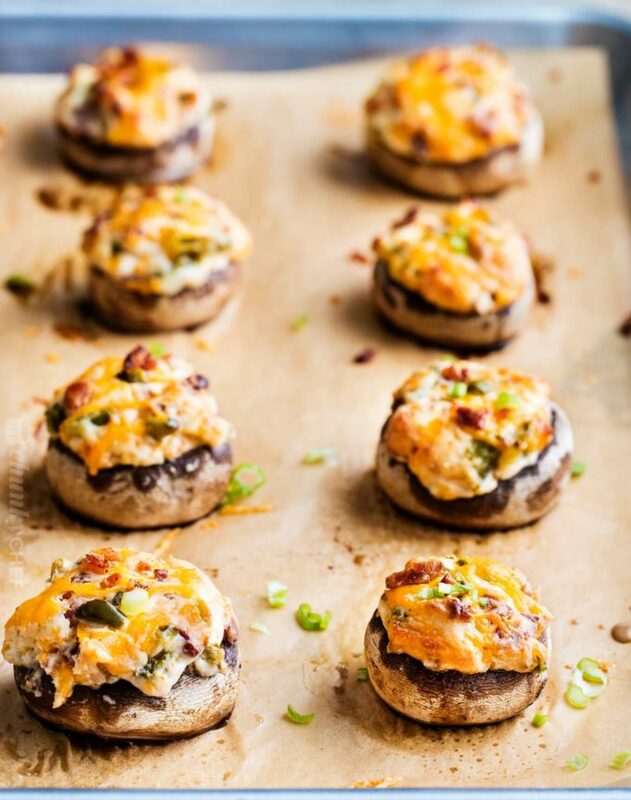 Spicy jalapeno poppers and creamy stuffed mushrooms combine in this fun party appetizer! 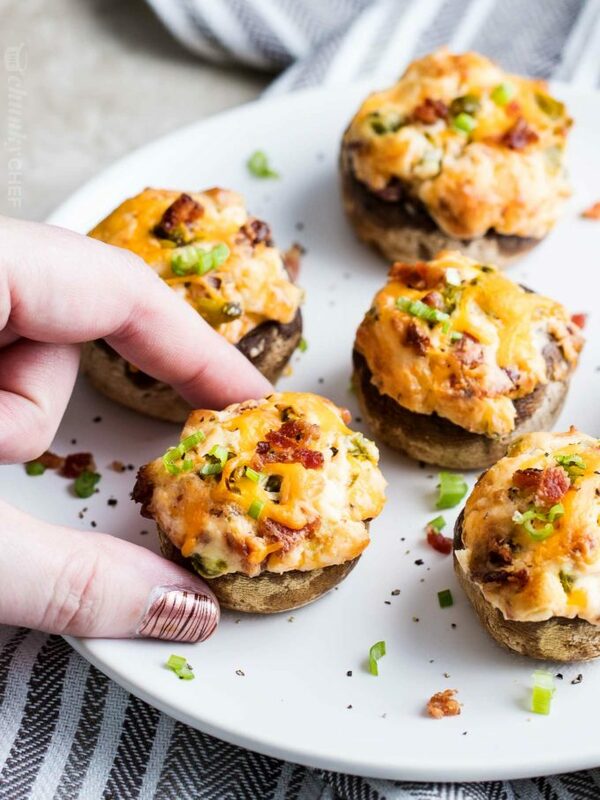 Jalapeno popper stuffed mushrooms are THE game day food this Fall! 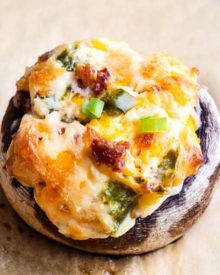 The ultimate stuffed mushrooms recipe! 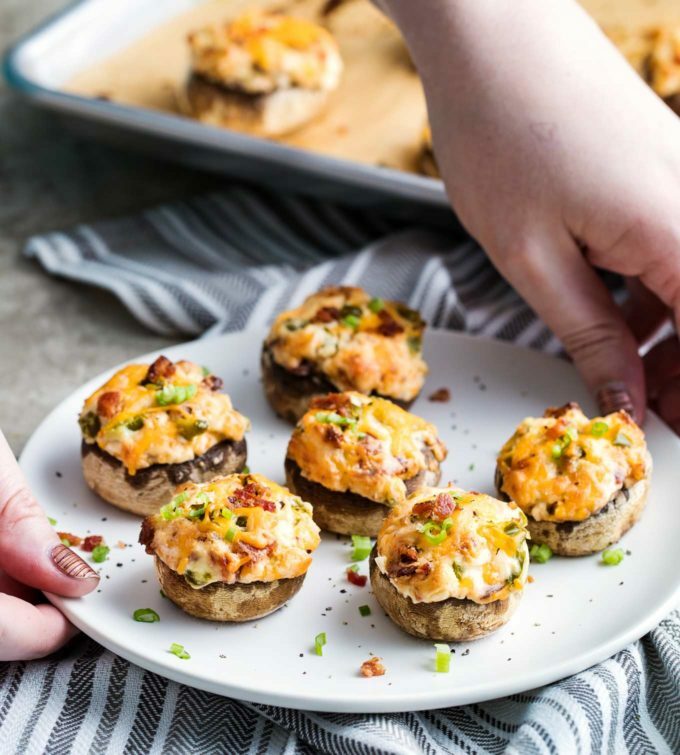 I’ve been wanting to share another great stuffed mushrooms recipe here on the blog, but I couldn’t come up with any that rivaled the amazing flavor of these Italian Sausage Stuffed Mushrooms… until now. 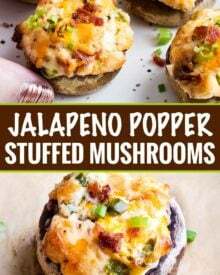 Cheesy, spicy, creamy and bursting with amazing flavor, these jalapeno popper stuffed mushrooms are at the top of my game day appetizer list! WHAT KIND OF MUSHROOMS DO YOU USE FOR STUFFED MUSHROOMS? The most common and best utilized types are either white button mushrooms (like I’ve used) or baby portobello mushrooms (sometimes labeled cremini). These varieties have a nice round cap, which is perfect for stuffing! Sometimes larger grocery stores carry a package of mushrooms that are labeled “stuffing mushrooms”. Usually these are just large, round white mushrooms. 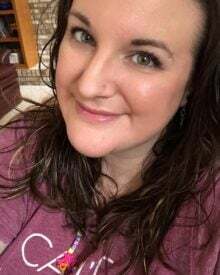 You can definitely use those as well, but they are larger, and not quite as bite sized. HOW CAN YOU EASILY REMOVE THE STEMS OF MUSHROOMS FOR STUFFING? My favorite way requires no tools at all… just use your hands! Hold the mushroom cap in your non-dominant hand, the grab the stem with your dominant hand and give it a firm twist. Most times, it pops right out! If not, just grab any leftover stem pieces and twist them out. That’s a bit of a debate in the food-world. Some people think if you wash them, the mushrooms will be rubbery when you cook them, because they absorb too much water. Other people think if you don’t wash them, you’re eating dirty food. Here’s what I personally do. For mushrooms that just have a little bit of light dirt on them, I don’t wash them. Instead, I take a damp paper towel and wipe them off. For the mushrooms that are pretty dirty, I wash them. 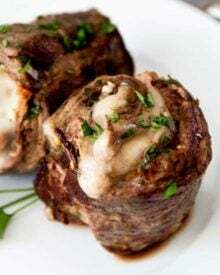 DO YOU COVER STUFFED MUSHROOMS WHEN BAKING THEM? I don’t recommend it, as it would cause the stuffed mushrooms to sort of steam instead of roast. 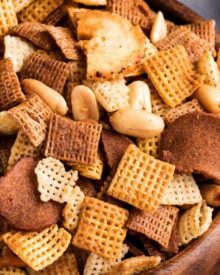 Plus, you want that crispy cheesy top! Make more mushrooms than you think you’ll need for a party. 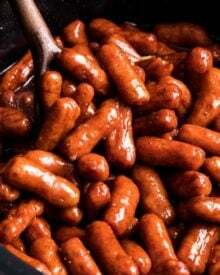 These babies go QUICKLY at get togethers and tailgate parties, so plan accordingly. This recipe is easily doubled or tripled. Want spicier mushrooms? Use fresh jalapenos, or hot canned jalapenos. Want a more mild mushroom? 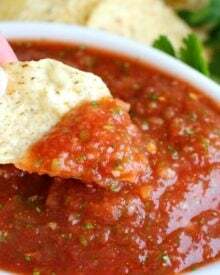 Use less canned jalapenos or try using mild diced green chiles. If you don’t want your stuffed mushrooms sitting in some liquid, use an oven safe cooling rack. By nature, mushrooms give off liquid when cooked. The parchment or foil will be wet underneath the mushrooms after they cook. 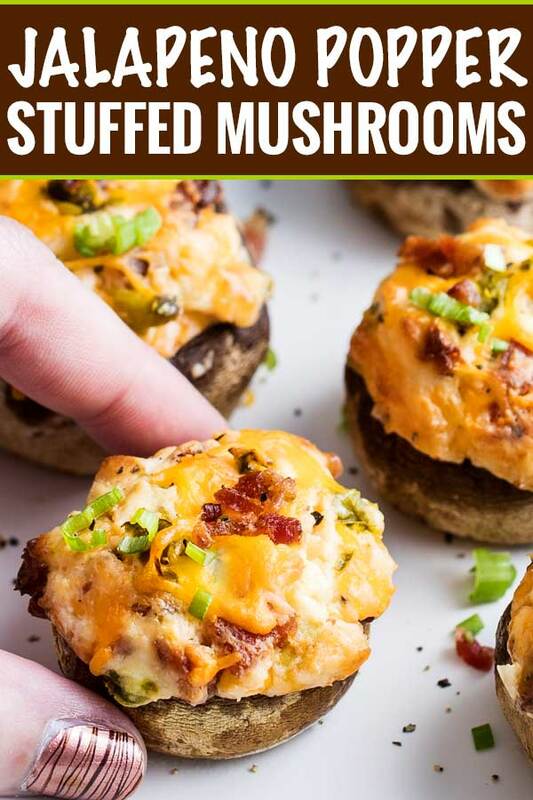 Let the stuffed mushrooms sit for 5 minutes before eating them. Not only will they be SUPER hot, but they’ll also be really floppy straight out of the oven. Letting them rest will not only save your tongue from being burned, but they’ll firm up a bit as they cool slightly. Baking sheet – these pans are heavy duty, with no warping! Parchment paper – no more curling parchment from a roll! Oven-safe Cooling Rack – perfect for baking these mushrooms and so much more! 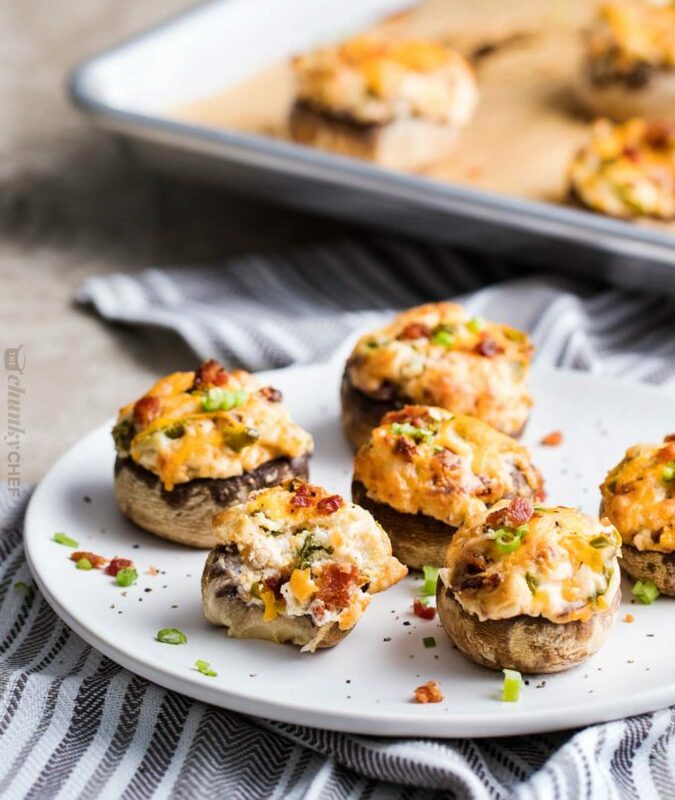 Spicy jalapeno poppers and creamy stuffed mushrooms combine in this fun party appetizer! Preheat oven to 400 F degrees. Line a rimmed baking sheet with parchment paper or foil and set aside. 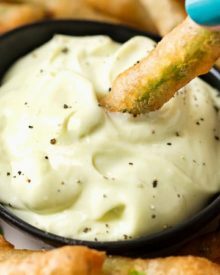 To a small mixing bowl, combine cream cheese, bacon, cheese, jalapenos, garlic and salt and pepper. Stir well. Spoon approximately 1 Tbsp of filling into each mushroom cap (this amount will vary depending on the size of your mushrooms), then sprinkle with additional cheese (if using). 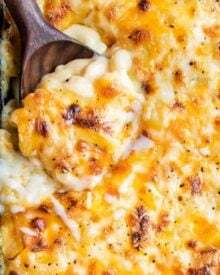 Bake 20-25 minutes, until mushrooms are piping hot and cheese is lightly golden brown. Carefully remove mushrooms from baking sheet (they won't feel very firm - a wide spatula is good for this), and let sit at room temperature on a plate for 5 minutes or so. 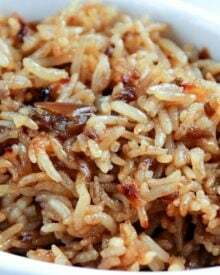 Serve sprinkled with sliced green onions and/or minced parsley (if using). Oooh…I love these! These are on my must-make list! These look incredible! I am totally drooling right now, so excited to try this! Oh my goodness! Jalapeños plus mushrooms plus cream cheese? This is a dream come true! My husband loves mushrooms very much. So yummy! I need to try this! I’ve never had anything like this. Looks good! These look perfect for game day! My family and friends would eat these up! 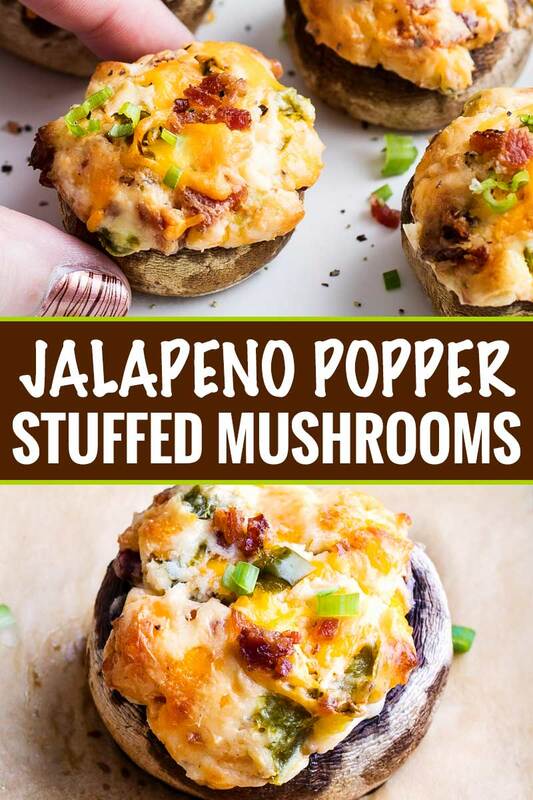 I love jalapeno poppers, but I’ve never thought about mushrooms… will have to try these! With all the entertaining I’ll be doing this upcoming season, these look like a great addition. I’m sure they’ll be the hit!